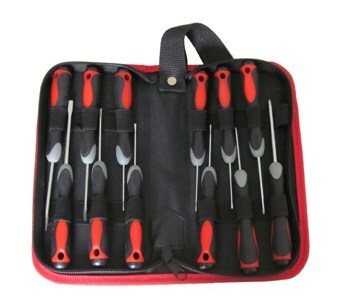 ATSDP-S twelve piece screwdriver set includes 12 screwdrivers with different specs, 8 Slotted and 4 Phillips. This complete set of screwdrivers provides professional solutions and durability can meet different tooling requirements. This tool set can be widely applied in maintenance, repairmen and mounting for electronic, computer, communication and optical instruments as well as other precision equipment.